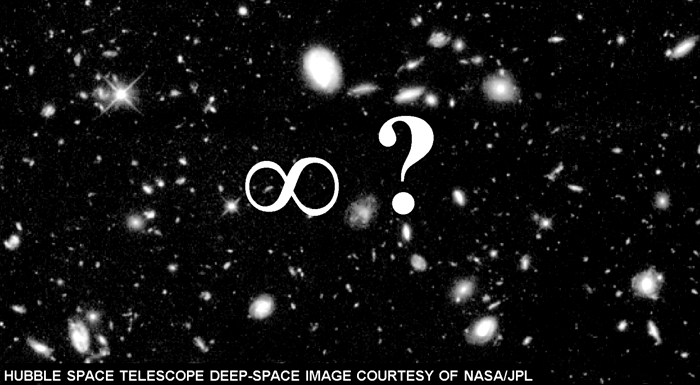 Answer: Where did the Universe come from? Where is it going? How big is it? How old is it? Are we human beings the only sentient species in the cosmos? All profound questions. And, incredibly, scientists may soon have some answers. The study of astronomy is an exercise in humility. When you gaze into the deep night sky, using a telescope or only your eyes, you touch the infinite. Just looking into a dark star-filled sky, and knowing that space goes on forever, is a mind- boggling experience that approaches a religious epiphany. Research currently underway may finally tell us the ultimate fate of the Universe. Will it continue to expand forever, or eventually collapse? We know already that its age is about 14 billion years. Its size is harder to measure — some astronomers think it could be infinite. The search for extraterrestrial intelligence (SETI) is a continuing project that looks for signals, intentional or otherwise, from possible advanced civilizations on other planets. 10 years ago, we weren’t sure if other stars even had planets. Since then, hundreds have been discovered. Knowing exactly where to point SETI’s antennas improves the odds of someday detecting that elusive signal.